It has been awhile since I have last blogged. I guess that’s what happens when one has to deal with conference presentations, dissertation proposals, and the looming deadline of writing the actual dissertation. But, those are all excuses. At the end of the day, I’m just bad at time management. Sigh. Well, I’m about to embark on a vacation of sorts so I have decided to write a quick blog post to let yall know I’m still alive. But what does alive even mean? I sometimes feel that I’m barely existing. The stress of a PhD program coupled with insecurities, feelings of failure, and constant bouts of wondering if I’m good enough, can take its toll on a person. 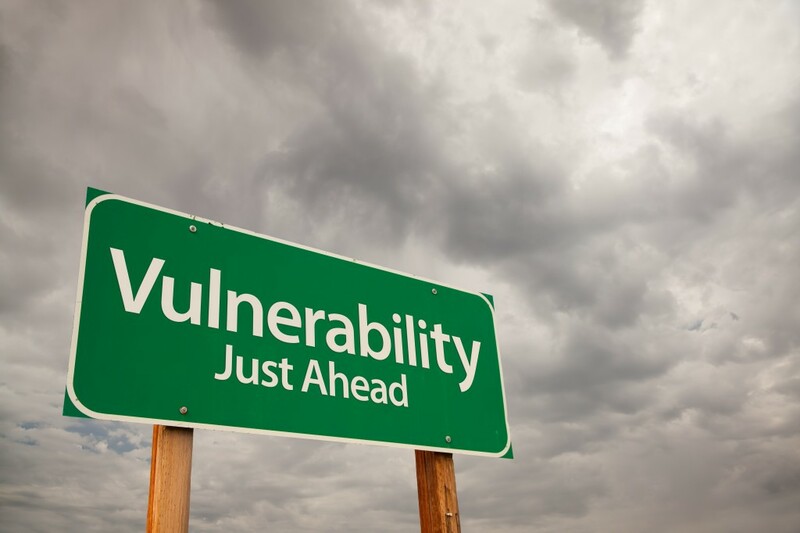 I’m feeling rather raw… and vulnerable… so this post will be about my ruminations on the topic of vulnerability. I would say that within the last decade, the concept of being authentic and vulnerable has shaped a whole new generation. We have grown up with this constant admonition to be “authentic”, to be a person who does not change for anything or anyone. But what does that even mean? Does that mean that if you are someone with jerk ish attitudes, you should just admit that being a jerk is what makes you you and that you should not change because to change your jerk ish attitude is to be false to who you truly are? I’m sure that’s not what people mean when they talk about being authentic… and yet this can sometimes be the unintended message. Same goes with vulnerability. We are supposed to share our thoughts with no fear of any repercussions. But we all know that in the digital world we live in, every Facebook post, every tweet, every snap we send out in the virtual world can come back to haunt our analogue lives. Yet, we are supposed to not have any masks and show the world who we truly are, whatever that means. Yet, in reality, even being authentic and vulnerable with others can be another mask we put on. It becomes another performance we enact to gain some social capital in the circles we frequent. Maybe, there is no such thing as true authenticity or true vulnerability. Without the performative aspect inherent in these two concepts, we can come across as critical and judgmental human beings whose unfiltered thoughts and views tell the world that we are selfish and unruly tyrants. If authenticity and vulnerability are not understood within the context of a relationship, it is of no use to the unlucky recipient of these two traits. When I share something that means something profound to another person, I choose my words carefully to elicit the feelings and emotions I want my words to convey. If I share a very difficult moment in my life to my friend, I will not only give the “objective facts” of what happened but also include the “subjective feelings” I felt during said event. Failure to add the emotional context is to present a false picture of what happened. Also, because I know my friend, I will use words and concepts that s/he can relate with. If I use academic jargon that obfuscates the issue, then I have failed to be truly authentic or vulnerable. I need to let the other person know what it was like to be me, to invite them in to my personal journey, and as the story unfolds, allow them to put themselves in my shoes. Authenticity and vulnerability is not about merely stating facts, but also giving permission to the other to become you. This is what makes authenticity and vulnerability an unbelievably scary and terrifying act. Moments of true authenticity and vulnerability is like creating a horcrux… a piece of your soul is torn from you and given to another recipient. In that authentic and vulnerable moment, this other person now has a part of yourself that exists outside of you… and this part is something that is now forever a part of both of you. Your souls have now met and are intertwined and to separate it from each other is to destroy a certain part of yourselves in the process. Yet, to be fully human, is to be relational. We are social creatures. We cannot live in isolation, as appealing as that that thought can be. I don’t think that it is surprising that cultures all over the world always manage to form a belief system that acknowledges this universal truth. Time and time again, people come together to form societies. Time and time again, we find objects of worship. If one does not believe in an external deity, worthy to be worshipped, they create one internally and make themselves their own object of affection and worth. There is no escape from this desire to participate with another, even if the other is found in one’s own very self. As communal creatures, we seek the other. We want the other to like us, to affirm us, to be one with us. The hard part is discerning who those people should be in our lives. We cannot be 100% authentic and vulnerable with everyone. I don’t even know if I can do that with my own self, let alone with others! But, I encourage everyone to find someone you can trust and can confide in… who will help you bear the burdens of life because we are not meant to be alone. As a Christian, I am thankful that the Christian God is one who constantly pursues me and woos me to himself. He is like a loving father who sings over me and is like a mother hen who protects me from harm. The psalmist speaks of how “though my mother and father forsake me” the Lord our God will not leave me. There is a beauty in that kind of love. I’m thankful that this type of love is something we are all called to embody. We live in a world where strife and hostility is our everyday reality. Amidst the hate, let us all to seek to reach out in love, even when that’s the last thing we would like to do. In these moments of loving relationships, authenticity and vulnerability can bind us together, reminding us that love can overcome hate. Love will prevail… but it will come at a cost. The cost is our decision to rid ourselves of hate and submit ourselves to the continual process of loving and loving again. If we are being honest with ourselves, that cost is too much to handle. It is a sobering reality that we are not as compassionate as we wish we could be. But, it is only when we come to that realization that we can appreciate how courageous it is to be authentic and vulnerable. It is a helpful reminder that authenticity and vulnerability is a precious gift and it must be cherished and adored. So go ahead… be authentic… be vulnerable. Open your heart to pain and in doing so, you open your heart to unspeakable joy.